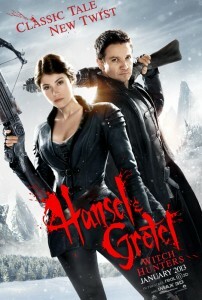 After getting a taste for blood as children, Hansel (Jeremy Renner) and Gretel (Gemma Arterton) have become the ultimate vigilantes, hell-bent on retribution. Now, unbeknownst to them, Hansel and Gretel have become the hunted, and must face an evil far greater than witches… their past. ENTER TO WIN A PASS FOR TWO. Screening will take place Thursday (1/24) at Wehrenberg Ronnies 20 Cine (7:30pm).